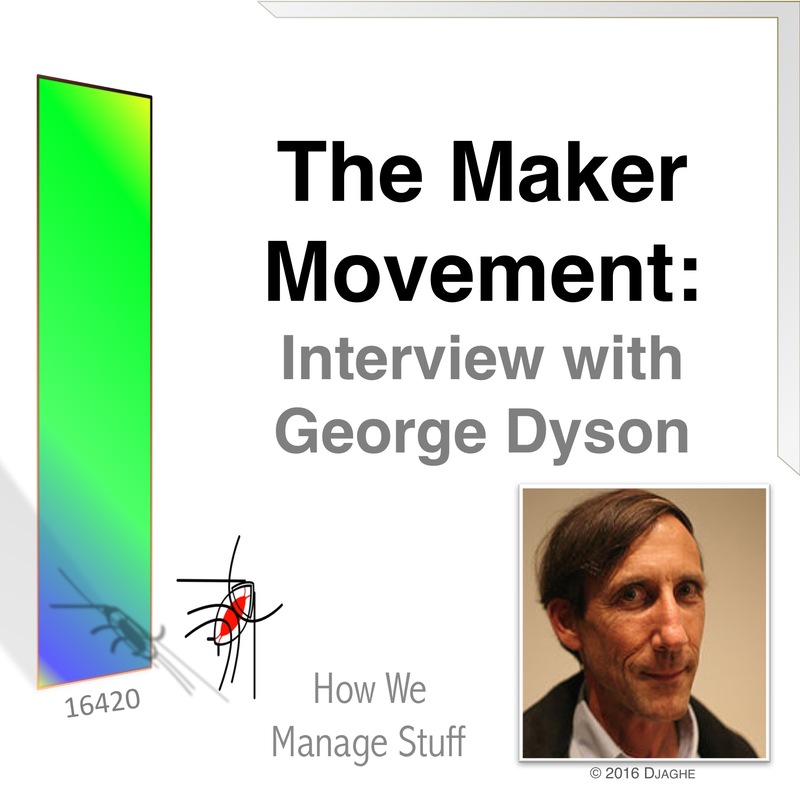 The Maker Movement. It’s hot in the tech world. How far does it go? Is there a Maker Movement for Handbags? Anna & Rohit explore with Special Guest George Dyson. A "dramatic educational podcast"? Exactly what might that be? It's a way of teaching you what is going on in the work of technology and organizations without making you feel the cut of the knife. We explore the big issues of the day, important issues, but we do it by telling stories. Our stories capture what is happening with artificial intelligence, big data, the internet of things, the changing world of global management. And our brilliant cast tells these stories with humor, insight and more than a little irony. It's the best way to keep ahead of technology and organization. You'll feel smarter just by clicking "play" and you'll have a good time listening. Drama that knows tech. Drama that means business.